Bennett Job in Fells Point Baltimore City. Ammons Wall with low voltage LED lighting. 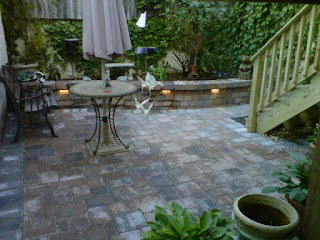 Tumbled Appian Style Pavers.